"There is a war on women… Women depend on me to be strong." Netflix has debuted the first trailer for a documentary titled Seeing Allred, premiering at the 2018 Sundance Film Festival this month. Directed by doc filmmakers Sophie Sartain & Roberta Grossman, the film profiles activist and women's rights attorney Gloria Allred, who has become even more prominent in the last few years with so many high profile sexual assault cases. The doc features key interviews with Gloria Steinem, Don Lemon, Alan Dershowitz, Allred's daughter Lisa Bloom and many others. Seeing Allred is described as "a portrait of a woman everyone thinks they know, at a time when women need her the most." This looks like a powerful, timely, very important film that goes beyond just profiling the life of a candid activist, by also holding up a mirror to society today. As sexual-violence allegations grip the nation, Seeing Allred provides a candid look at one of the most public crusaders against the war on women. 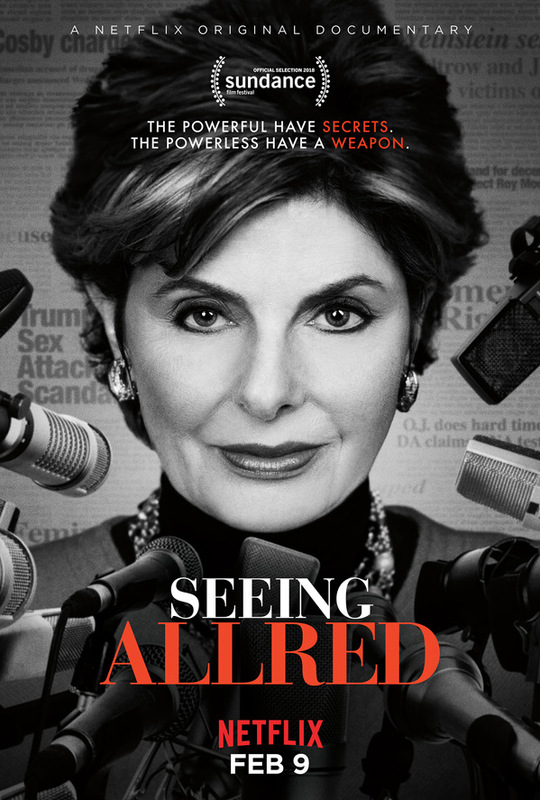 Through rare archival footage and revealing interviews with both her supporters and critics, this fascinating biographical portrait examines Gloria Allred’s personal trauma and assesses both her wins and setbacks on high-profile cases against Bill Cosby and Donald Trump. Seeing Allred is co-directed by documentary filmmakers Sophie Sartain (Mimi and Dona) and Roberta Grossman (Homeland: Four Portraits of Native Action, Hava Nagila: The Movie, Above and Beyond). This will first premiere at the 2018 Sundance Film Festival this month. Netflix will then release Seeing Allred streaming exclusively starting February 9th this winter. First impression? Who's intrigued?